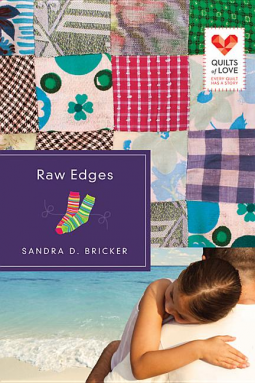 Being a cancer survivor, I was drawn to Sandra Bricker’s book, Raw Edges. It is the fictional story of Annabelle, Sadie and Gary that are brought together through an Ovacare project. Annabelle is an ovarian cancer survivor who wants to give back to the Ovacare group, so she is heading up a quilt project. The quilt will be comprised of fabric from women who have had ovarian cancer. This is what brings Gary and his daughter, Sadie, into the story. His wife, Jenna, lost her battle a year earlier. Gary told his daughter they could go to an ovacare meeting. They are drawn to the project and Annabelle’s personality. Will the pain and raw edges of their pasts be able to be made into something new? My favorite part of the book was at the end of each chapter there is a journal entry to Sadie from her mom and a coordinating Bible verse. I love how Sandra worked all this into the story. I would recommend Raw Edges for a relaxing summer read.